Contains oleic acid, palmitic acid, linoleic acid, vitamins A, C, D, E, K, PP, B2, etc..
Avocado oil has a strong nourishing action, strong penetrating ability and rejuvenating properties. 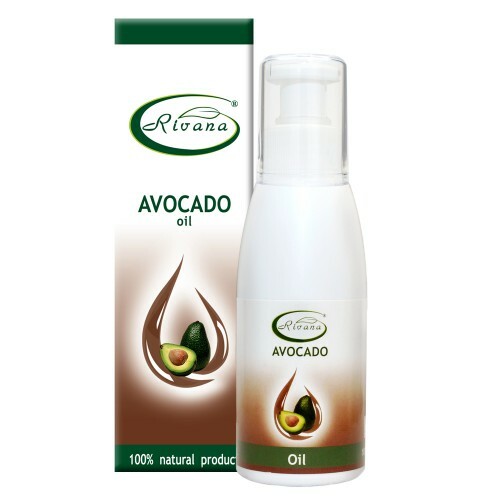 Due to the high concentration of polyunsaturated fatty acids, it restores the protective functions of the epidermis, it has a natural biological action that soothes and softens rough and scaly skin.Avocado oil is recommended for dry and aging skin, because it quickly restores skin elasticity, it also nourishes hair and nails. Massage with avocado oil, enriched with essential oils – add 3 drops of essential oil to 1 tablespoon of oil. To be used to massage the rough areas of the body to prevent cellulite. Avocado oil hydrates and restores elasticity inside the skin. Put paper towels soaked with pure avocado oil on problem areas for about 15-20 minutes. Hair- 7-10 ml. of avocado oil is added to 100 ml. of shampoo or hair conditioner, apply to brittle hair to give it natural shine. Nail Care: add 2-3 drops of lemon essential oil to 1 tablespoon of avocado oil. Apply the mixture on your nails every day and massage for 15-20 minutes. Contraindicated for people sensitive to avocado oil. Storage: Keep in a cool and dark place at 7-25C. At very low temperatures the oil gets darker and thicker, but when heated the oil returns back to its normal condition. If stored improperly, it becomes rancid. It is recommended that you use the oil three months after opening the bottle at most.